The Downtowner Online has a great list of New Year's Eve events in the heart of our city. There are even some free options like an 80s NYE event at the San Pedro Square Market. Also, VTA light rail and buses are free from 8PM to 5AM. Just scroll down to see all of your options, and please be sure to check out the full edition of Downtowner Online right over here. The Back Bar – Live music with punk band Beerijuana, 10pm, 418 S. Market St.
A new Red Line (with express trains during peak hours) from Mountain View to Alum Rock. 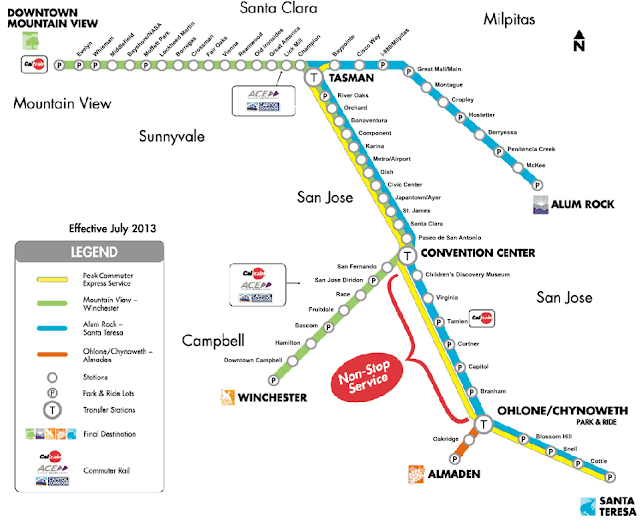 This will make it possible to easily get from the Milpitas BART station to the 49ers Stadium, and will help out those commuting between East San Jose and Santa Clara, Sunnyvale, or Mountain View. The Green Line will extend to Almaden, so riders coming from there will no longer have to transfer to another train. The Blue Line will offer all-day Express service, instead of only peak hours. A new Purple Line will be added between Winchester and Downtown (this is the only major reduction of service, since those commuting from Campbell will have to transfer trains if they are going beyond Downtown). VTA is adding a third track on Tasman between Reamwood and Old Ironsides for peak-demand trains to the Stadium. This track will be able to store three, 3-car trains (usually Light Rail only uses one or two car trains) to deploy when there are major events happening in the area. This project should be complete by November 2014. Double tracking in Mountain View, which will allow timed transfers with Caltrain and the Red Line express service. This will be ready by 2016. System-wide speed and reliability improvements. 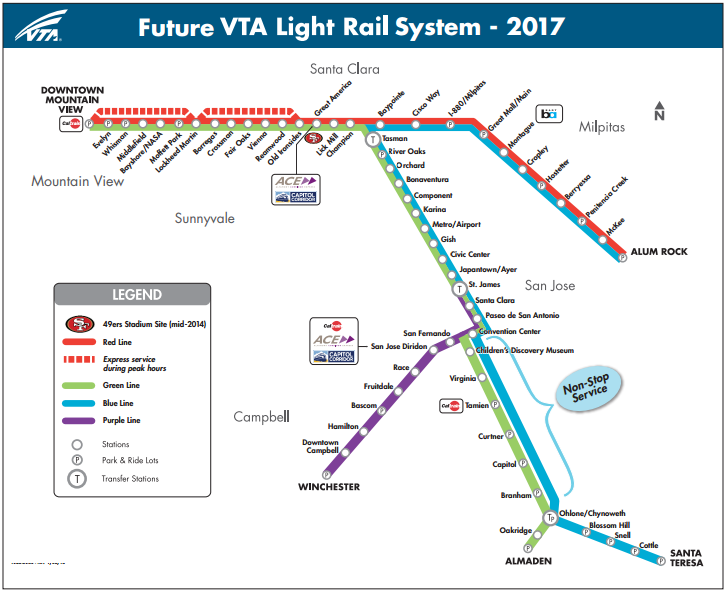 VTA plans to deploy better signaling systems to reduce wait-time at traffic lights, and improve speeds from 35 MPH to 45 MPH on North First. After all is said and done, travel time will be cut by up to 30% and we will have some new options for getting around. Check out the video below or the VTA website for more info. San Jose's Office of Economic Development is revising its San Jose Storefronts Initiative, which helps small businesses lease vacant space by offsetting permit costs and fees. New restaurants will be able to apply and grantees can receive up to $16,000. The program will continue until the $250,000 of funding is used. On any given night, as many as 25 Downtown venues can feature live music. Check out the SJDA Live and Local page for listings. Thanks to some private contributions from Downtown businesses, the Downtown PBID was able to purchase a small electric vehicle (let's be honest, it's a golf cart) to help with security patrols. A permanent US patent and Trademark Office that will service the entire west coast will occupy part of City Hall at 200 E. Santa Clara. David Nevin, owner of the Rock Shop, is bringing live music back to The Back Bar at 418 S. Market. Bel Bacio Imported Italian Coffee is now open at 350 W. Julian St. No. 4.
gZines! is now selling fine art and jewelry at the Fairmont Hotel. Blackbird Tavern is now using the vacant 2,400 SQFT next door for private parties and events. Thirst Tea is now selling boba teas and snow ice at 150 S. First St., Suite 118. One of the few iconic landmarks visible from just about anywhere in San Jose may shut down. 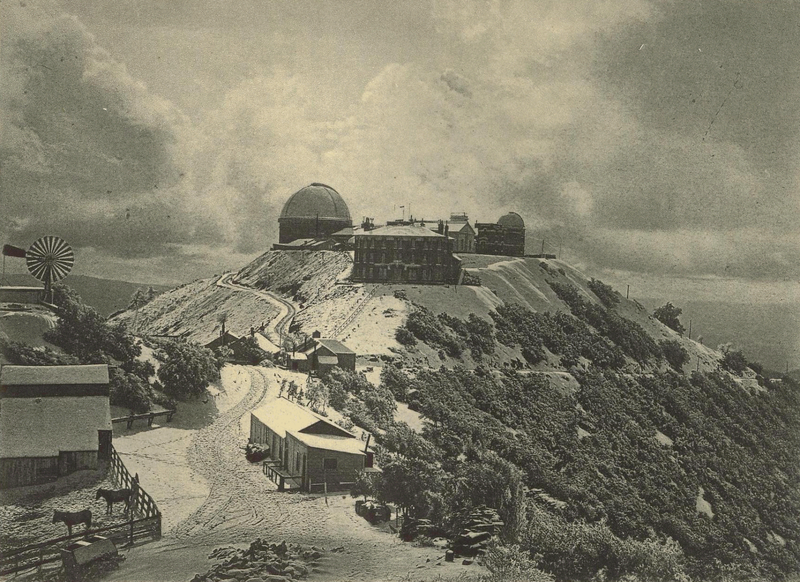 The University of California is threatening to cut funding for Lick Observatory, which was constructed in 1888 as the world's first mountaintop observatory. At one point it had the largest telescope ever built and has helped scientists discover planets, asteroids, and several moons of Jupiter. If you have ever wondered why our streetlights are yellow... well one of the main reasons was to reduce light pollution for Lick. The observatory costs $1.8 million each year to keep running, which sounds almost like a rounding error for such a historic structure. 100 faculty, students, and post-docs currently use the facility to gather scientific data test new technologies. The currently plan is for the UC system to reduce funding for the Observatory in 2016 and do a complete shutdown in 2018. Expect to hear more about this as the details unfold. I'll post information on any campaigns I find to save Lick Observatory. GreenCitizen has opened a new eco-station at the border of San Jose and Santa Clara on Stevens Creek. They offer free recycling for your e-junk (old cables, computers, TVs, palm pilots, batteries, etc.) as well as services for destroying hard drive information and other sensitive data. Throwing away these electronics in the trash can contaminate landfills and cause serious environmental problems. E-recycling is a much better solution, and they may even give you cash for items that still have some value like old iPhones. More info below. GreenCitizen is opening its new Eco-Station in Santa Clara on Monday, December 2, 2013. Located inside the SuperGreen Solutions Store at 5155 Stevens Creeks Blvd, Suite 100, Santa Clara, GreenCitizen's new Eco-Station will be open from 10 A.M. to 6 P.M., Mondays through Saturdays, all year round. Santa Clara and San Jose residents and businesses can now drop-off, for responsible recycling, any working or non-working electronic items, including computers, monitors, TVs, printers, appliances, or portable devices that use electricity. Please refer tohttp://www.greencitizen.com for a full list of acceptable items. The new GreenCitizen Santa Clara Eco-Station is only 10 minutes away from downtown San Jose and San Jose State University, and just a couple of blocks from the Stevens Creek Boulevard intersections with the Lawrence Express way and I-280. Simply use 87 N and/or 280 N and take the Lawrence Expressway exit. Located next to Bed Bath & Beyond, across from McDonald's, Starbucks Coffee, Safeway, and Sports Authority, the Eco-Station is also less than a mile from Santana Row, and the popular Westfield Shopping Mall at Winchester Boulevard and Stevens Creek. Since opening its first center on Earth Day 2005, GreenCitizen has successfully helped over 15,000 businesses and 150,000 residents responsibly recycle their electronics. In this time, GreenCitizen has diverted over 10 million pounds of electronics from landfills and from global dumping on developing countries. The amount of e-waste that GreenCitizen has diverted is equivalent to reducing 12 metric tons of CO2, planting over 300,000 trees, or taking 2,500 cars off the road for a year. "The amount of obsolete electronics piling up in our offices and homes is staggering. When these electronics are not recycled properly, this e-waste often ends up in landfills here or in developing countries, where it can cause serious social and environmental harm.” says James Kao, GreenCitizen's Founder and CEO. "In order for responsible e-waste recycling to take off, it must be more convenient for consumers and businesses and there must be full accountability to ensure that everything gets recycled safely. We are very excited to partner with SuperGreen Solutions to bring convenient and accountable electronic recycling services to Santa Clara, San Jose, and surrounding cities of Cupertino, Sunnyvale, Saratoga, and Campbell." Belinda Vega, president of SuperGreenSolutions states that: "SuperGreen Solutions of Stevens Creek is excited about working with GreenCitizen to truly provide a complete environmental solution. We feel the missions of our companies are similar and complimentary. Together we are helping our customers make the world a better place and making every day Earth Day." SuperGreen Solutions is a one-stop retail store for energy efficient and green products, providing a holistic approach to energy efficiency by offering a variety of products, reducing clients' energy usage and thereby maximizing their cost reduction. They provide solar panels, wind turbines, LED lighting, electric car chargers, efficient water heaters and insulation. They can arrange for installation, assist with rebates and tax incentives, and provide financing. They also provide other green products such as air purifiers, atmospheric water generators and non-toxic pest control products. 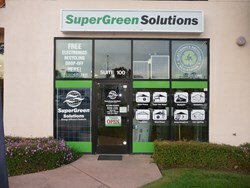 SuperGreen Solutions of Stevens Creek is a minority woman-owned business. GreenCitizen is a socially and environmentally responsible company dedicated to helping consumers and businesses reduce their environmental footprint through proper disposal of their electronics. GreenCitizen achieves this through closed loop reuse, convenient drop-off, and business pickups. All recycled items are accounted for fully all the way through dismantling and de-manufacturing within the San Francisco Bay Area. In addition to the new Santa Clara Eco-Station, GreenCitizen has four Eco-Centers in Berkeley, San Francisco, Burlingame, and Mountain View. Every time I post a Saturday Stat, I also toss it in a Google Doc so we can look back on the year and see all of our top rankings listed in a single place. Since it is the last Saturday of 2013, the time to reflect is now. The list is even longer than 2012. San Jose's achievements this year include #1 lowest housing vacancy, #1 in patent creation, #1 top job market, #1 happiest city for young professionals, #1 technical jobs per capita, #1 best city for STEM jobs, #1 best city to work in, #1 safest city above 500,000 residents, #1 richest city in America, and #1 happiest, healthiest city in the US. Pretty impressive, wouldn't you say? Below you can find the full list of 2013 Saturday Stats, and if you want to check out 2012 the Google Doc is over here. Below is a rendering of "Ascent," Shea Properties' latest apartment project. We are talking 650 units in South San Jose (former Hitachi campus) with an estimated completion of Spring 2015. The total project cost is going to be $200 million, making it quite an expensive development when looking at the unit count ($307k per unit). 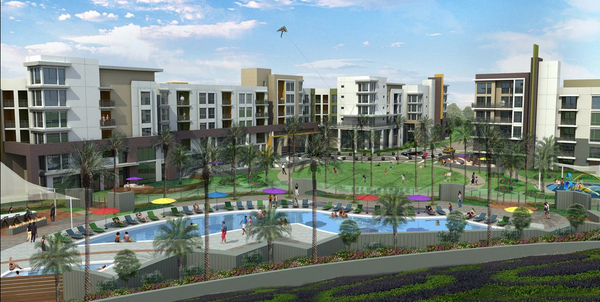 There will be one, two, and three-bedroom units and luxurious amenities such as saltwater pools, a yoga courtyard, and a community pizza oven. Looks like nice project, I just wish there was an office component to it as well. We really need more jobs in South San Jose and more housing in North San Jose. Well, this is a nice surprise. Next week the San Pedro Square Market is hosting an 80's-themed New Years Party including a midnight champagne toast, 80s music, 80s movies, a balloon drop, a photo booth, and I'm sure a few surprises. The best part? It's free. 2013 was a great year for Downtown and 2014 is going to be even better, so I could not think of a more appropriate place to celebrate than the SPSM. The event runs from 9pm to 1am across the entire Market and no reservations are required. SPSM Special Events: December 31, 2013 starting at 9:00pm. New Year's Eve Party - 80's Style. We're closing up 2013 with a New Year's Eve party and you're invited. Our NY resolution is to start 2014 with a bang, so we're throwing a FREE shindig complete with a midnight champagne toast, balloon drop, photo booth and more. Come one, come all. We are keeping this a completely public event. So no pre-sale of tickets or registering for a spot. We are just going to let people come in and enjoy themselves. We are keeping it pretty fun and casual, so please feel free to dress up! 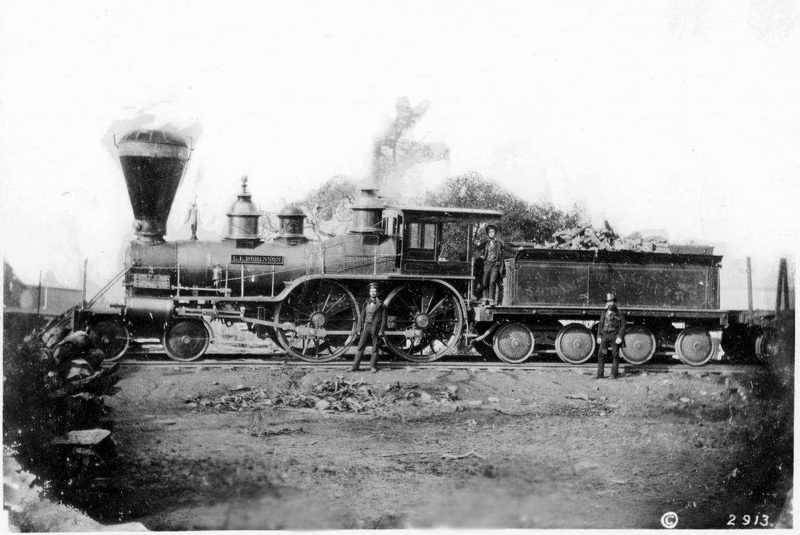 According to the record in the USC Digital Library archive, this image is of either the first locomotive built in California or shipped TO California. The caption also says it served on the San Francisco and San Jose Railroad. The image is dated 1867 and the second car says "Sacramento Valley Railroad" on it. The locomotive has "L. L. Robinson" written on it. Hanh Nguyen is a fashion designer that recently relocated back to San Jose. Over the past seven years she has lived in New York and Europe and designed for the labels Isaac Mizrahi, The Reformation, and Jessica Joyce. Now that Hanh is back in town, she's starting her own label called Hanhny. You can check out the her full collection online over here, or you can head over to either the SJMade pop up shop at Valley Fair or the DSF Shop in SF (I'm sure you can guess my personal preference). If you visit the website, use the coupon code Hanhny25 to receive 25% your entire purchase. The promo expires on December 31st, and again here is the link. 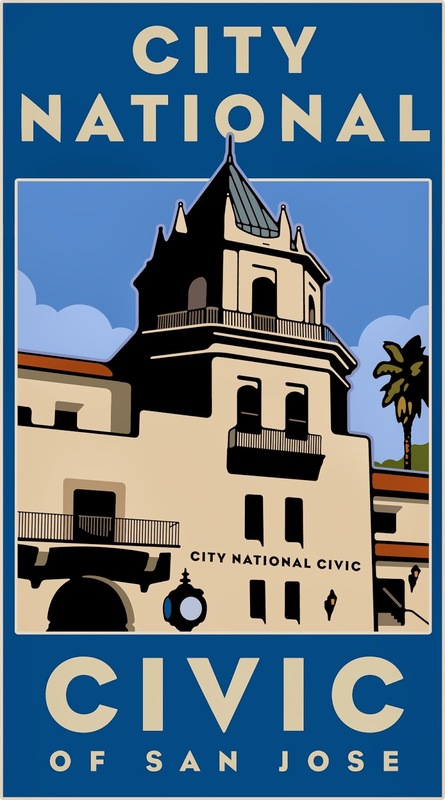 The historic San Jose Civic Auditorium has sold naming rights to City National Bank. For the next five years the venue will be known as the City National Civic. The word Auditorium was purposefully omitted in order to the better position the Civic as a concert destination. 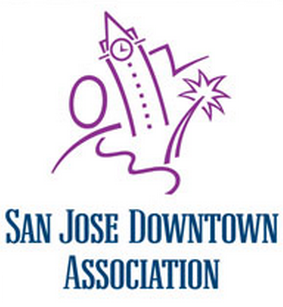 San Jose will receive a total of $870,000 from the deal. City National Bank isn't just changing the sign. Have a second look at yesterday's post and see if you can spot the GIANT signage on the roof of the building. With so many planes flying over San Jose each day, City National's marketing team made a wise decision. Merry Christmas!!! What Was San Jose's Christmas Gift in 1881? Merry Christmas San Jose! We wish all of you and your families a wonderful day filled with joy and happiness. We do have a little treat for you courtesy of WMS Media. They have produced yet another great short video on San Jose's history, and this one is timely. 132 years ago to this day, the world famous Electric Light Tower went live (it does kind of look like a Christmas tree doesn't it?). Watch the video below to learn more! Dec 25, 1881 - San Jose Electric Light Tower from WMS media Inc. on Vimeo. "Invented by J.J. Owens, editor of the San Jose Mercury and built with public funds, this unique structure was the center of attraction for the city and a one of a kind in the world. Standing at Market and Santa Clara Streets at just over 200 feet tall, the tower was constructed from readily available boiler iron in the shape of a tower. Atop the structure were six arc lights putting out a brilliant moon-lit glow. They were powered by Brush Electric generators. Residents claimed they could now read a book at night from 2 miles away. Police said it would reduce city crime. And people who owed money complained they could now be spotted and identified at night! The tower brought world-wide fame and pride to San Jose with articles written in Harpers Weekly and Vanity Fair." 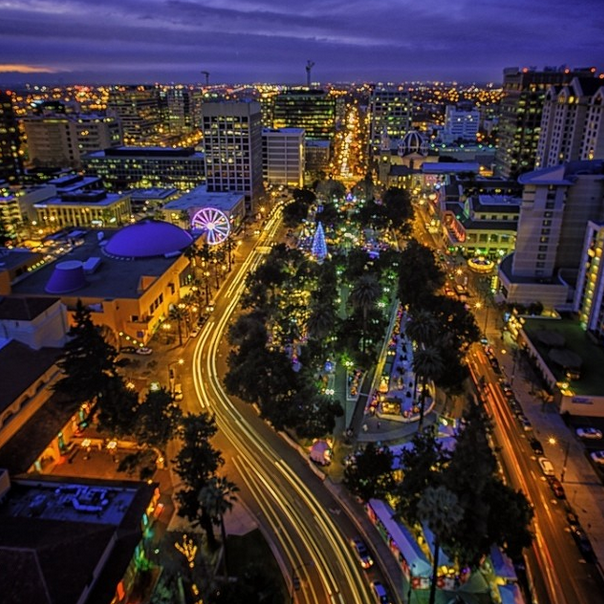 Check out these two awesome photos taken recently of Downtown San Jose during the holiday season! These were shot by lastlightbender on Instagram (thanks to Robertee from the San Jose Development forum for the link). 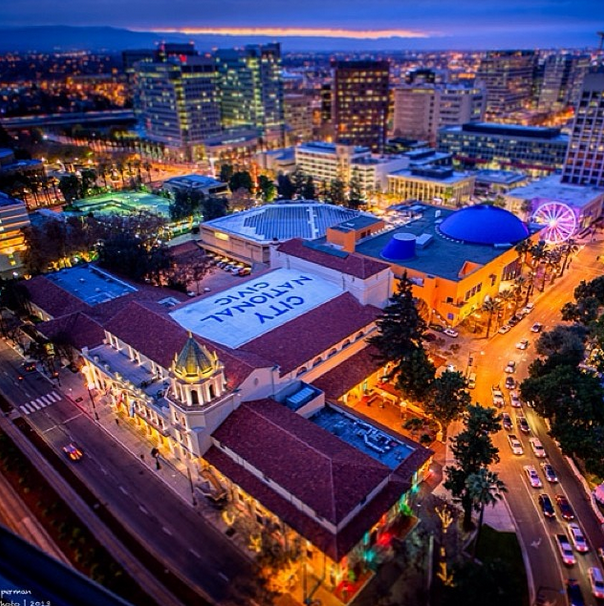 I think these are among my top ten favorite Downtown San Jose photos taken of all time... stunning. Happy Christmas Eve everyone! 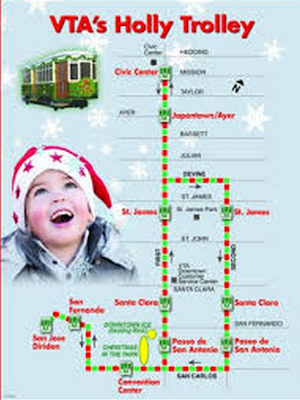 Check out a quick two minute video below on the Holly Trolley that circles Downtown San Jose. The historic Trolley runs from 2:30 PM to 10 PM on weekends and 6 PM to 10 PM on Friday. This is the last weekend that this program will be running for 2013, so catch it while you can! I rode the trolley last year and it was really neat! Every now and then I run into a new San Jose vendor that really gets me excited. I love discovering locals that are passionate about what they do and are proud to do it in San Jose. Just recently I found out about Irene Painter who is the proprietor behind "My Kind of Mustard." Irene claims to officially be the only mustard lady in San Jose. She learned the trade from her family, who has been making homemade mustards and jams in Canada for over 20 years. Here is San Jose, Irene has been making craft mustards with flavors like Red Pepper Curry and Beer (yes, Beer) for a little over a year. She participates in three different farmers markets and several specialty food and ma & pa shops in the Bay Area now carry her products (list of the local ones below). Since April 2013, Irene has become a member of the San Jose Silicon Valley Chamber of Commerce, which she calls the best investment she's ever made. Thanks to the Chamber she sealed a contract to be the preferred mustard vendor for the San Jose Giants Stadium and is also working on a deal with SJSU's Spartan Shops. Meeting other local businesses through the Chamber has built a foundation for Irene as a local San Jose business. One other acquaintance she made that I have to mention is Dan Gordon from San Jose's own Gordon Biersch Brewing company. In 2014 she'll be pairing her beer mustard with Gordon Biersch's Czech Pilsner Beer. Local mustard with local beer, awesome! "Simple. The flavor has an experience. Most people are surprised when they try my mustards. There is interest, inspiration to work with the mustard beyond traditional uses (BBQ and sandwiches). I like to say it is my Ukrainian coming out. The mustards are more on the sweeter side and we tend to be drawn to sweeter foods. The catch is that mustard has a nutritional value that sores above most other condiments, dressings and sauces. A health advantage that we crave to improve in our diets. The flavor speaks for itself! I am excited. This is a great opportunity to provide a genuine product, with much purpose. My mission with this business is to help people realize the full potential of using the mustard plant in many food dishes and medicinal treatments. Mustard has been forgotten. What people think of it now is the 'yellow stuff.' I want to make mustard rich in flavor again by developing my father's recipes of many delicious mustards." Well, I'm sold. As you wrap up your holiday shopping, please keep in mind local companies such as "My Kind of Mustard." You can find a list of local vendors both large and small over here. David Nevin, proprietor of The Rock Shop in Downtown San Jose, is about to help perpetuate live music in Downtown San Jose in a big way. His latest project is called the Back Bar, and it will occupy part of what used to be the Cactus Club back in the day. Unlike the Cactus Club; however, the Back Bar will only be 21 and over. The live music will range from rock, punk, metal, new wave, and 80s and will be open every day of the week. They will have a DJ, but the focus will be on live music. Total capacity for the venue is 130. I think this will go very well with Cafe Stritch and the other live music venues popping up throughout Downtown! The newest San Jose Denny's officially opens its doors tomorrow at 10pm, and will keep those doors open all throughout Christmas Eve and Christmas Day. In fact, it will stay open 365 days a year. The new Denny's will be located right off of Highway 280 at 910 Saratoga Avenue. I believe this space was formerly occupied by a Carrow's. Full release is below. SAN JOSE, Calif. (Dec. 23, 2013) – As America’s diner, Denny’s is always open – open 24/7, open to good food and great value, and now Denny’s is open to San Jose. Located at 910 Saratoga Ave., the new diner will officially open its doors on Monday, Dec. 23, at 10 p.m. Opening just in time for the holidays, Denny’s will be ready to serve guests on both Christmas Eve and Christmas Day. The new diner will have a significant impact on the San Jose community by creating more than 80 new jobs for local residents. The new diner is conveniently situated just off Highway 280, near the Saratoga and Manzanita bus stop. As a full-service diner, the San Jose Denny’s is open 24 hours a day, 365 days a year serving breakfast, lunch, dinner and late-night items in a relaxed, friendly environment. $2 $4 $6 $8 Value Menu® – Denny’s all day, every day value menu lets guests choose from 16 dishes at affordable prices, including traditional favorites as well as several new a la carte items. Kids Eat Free – Guests can receive up to two free kids meal for children ages 10 and under with the purchase of each adult entrée. The offer is good from 4 to 10 p.m. on Tuesdays only, and menu items and prices may vary. “Fit Fare” – Delicious choices that are good for you, too. Denny’s “Fit Fare” options feature healthy choices like egg whites and hearty wheat breads that can be substituted into any meal for no extra charge. Using the expansive Build Your Own Grand Slam® menu, diners have more than 250 ways to build a meal with 550 calories or less, and 32 ways to build a meal of 400 calories or less. With plenty of simple substitutions and healthy “Fit Fare” entrees found throughout the lunch and dinner menu, Denny’s makes it easy for you to eat well on the go. Free Birthday Grand Slam®– Celebrate your special day with a free Original Grand Slam® meal at participating Denny’s restaurants. The Original Grand Slam® offer is free for the birthday guy or gal who can show proof that it’s their birthday, and is good for dine-in only. AARP Members Save 15 Percent – Show your AARP membership card at participating Denny’s restaurants and save 15 percent off your total check, 24/7. Denny's is one of America's largest full-service family restaurant chains, currently operating more than 1,680 franchised, licensed and company-owned restaurants across the United States, Canada, Costa Rica, Mexico, Honduras, Guam, Puerto Rico and New Zealand. For further information on Denny's, including news releases, please visit the Denny's website at www.dennys.com. For news and updates on Denny’s please visit the brand’s social channels viaFacebook, Twitter, Tumblr, Pinterest or Youtube. Last year San Jose was Ranked as the #1 best performing city in the US by the Milken Institute. This primarily looks at growth of jobs, wages, and GDP (Gross Domestic Product, a good measure of what companies are actually producing and selling). For 2013, San Jose came in 4th place. Austin took #1, Provo was #2, and San Francisco was #3. 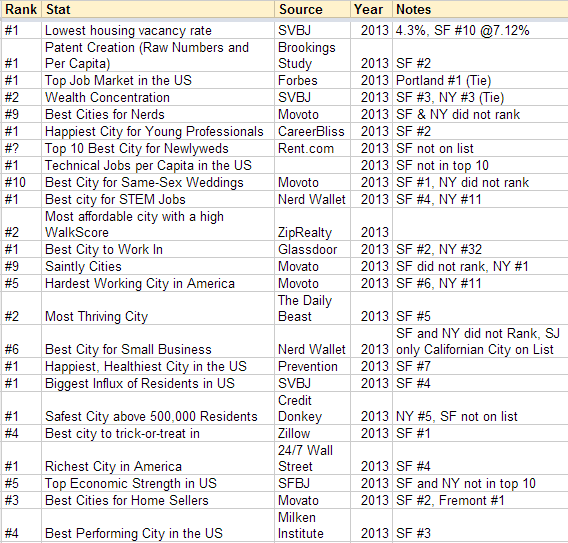 Just for fun I did a direct comparison on the stats between San Jose and San Francisco. 5-year and 1-year job growth was stronger in San Francisco, but 5-year and 1-year wages/salary growth was stronger in San Jose. High-tech GDP growth was slightly stronger in SF but San Jose took the cake in the entire study for total High-Tech GDP (it is double San Francisco's current Tech GDP). It looks like the CPK at Valley Fair has completely transformed. The interior has been redesigned with new green elements like LED lighting, there is a new 35-person patio (which likely will not be getting much use in this weather), new food and drink options, and a more "interactive" pizza counter. Check out the release below for more details. 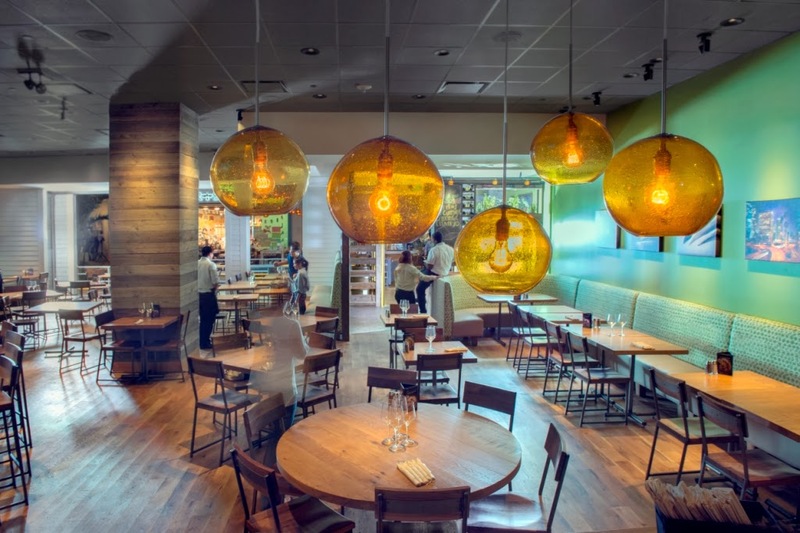 California Pizza Kitchen (CPK), the authority on California-style pizza and an industry leader in creative dining, today announced the completion of its newly reimagined Santa Clara, Calif. location at Westfield Valley Fair. California Pizza Kitchen’s Recipe for Reimagination features a complete interior redesign, new hand-tossed California-style pizzas and innovative, California-themed cocktail and wine selections. 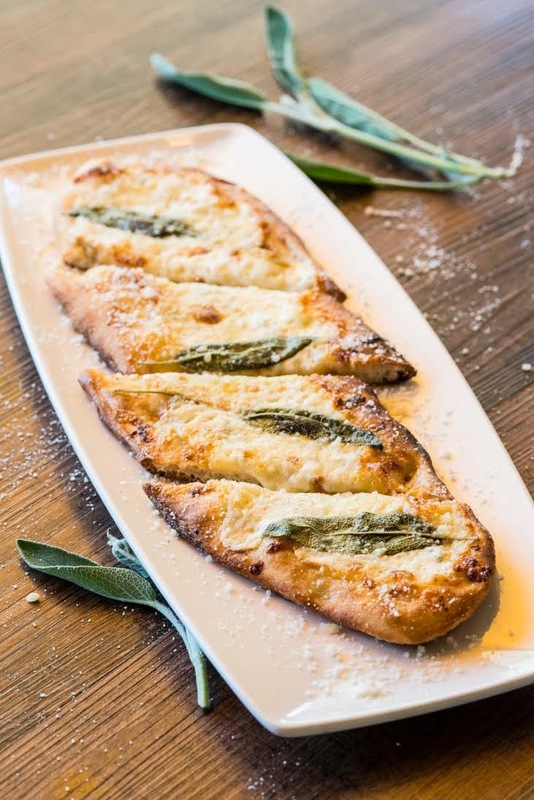 “We have been anxiously waiting to introduce our reimagined restaurant at the Valley Fair mall in Santa Clara, and we hope that it will inspire guests and remind them about what made them fall in love with California Pizza Kitchen in the first place. We are going back to our California roots to provide an authentic, elevated-yet-relaxed atmosphere for casual diners, families and foodies alike,” said California Pizza Kitchen CEO, G.J. Hart. The 4,758 square foot Valley Fair restaurant now seats 171 guests in a redesigned communal space that has been developed with sustainability in mind. 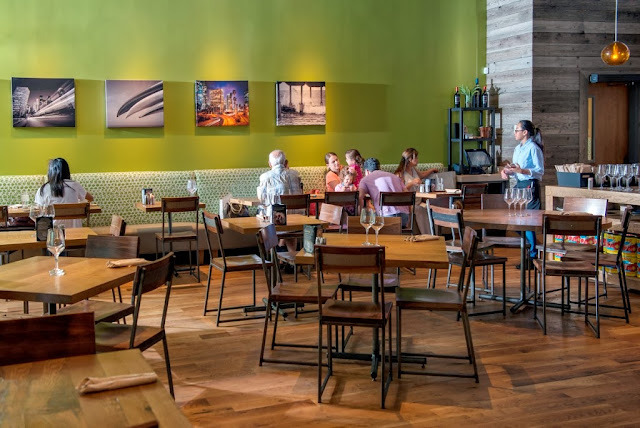 California’s environmental roots are evident in the use of unfinished, reclaimed wood both inside and outside of the restaurant, offering a casual but refined feel that is very warm in color. LED lighting is used throughout the space. The updated 538 square foot patio now seats 35 people. California Pizza Kitchen’s traditional pizza counter, which seats 12, has been redesigned to make the hearth an even bigger focal point, giving guests the opportunity to interact with the Pizza Chefs and watch them as they hand-stretch and toss California Pizza Kitchen’s new hand-tossed pizza dough. The reimagined menu features a wide selection of signature flatbreads with new ingredients and flavor combinations, including a new spicy fennel sausage, two different types of pepperoni, fresh mozzarella, hand crumbled wild Greek oregano, freshly torn basil and more. New appetizers and small plates include Spicy Chicken Tinga Quesadilla, White Corn Guacamole + Chips and Asparagus & Arugula Salad. Guests can also enjoy an extensive selection of cocktails, including new signature drinks such as the “Coconut Kaffir Cooler,” made with Hangar 1 Mandarin Blossom Vodka, Perfect Purée Coconut and Kaffir Lime Leaves; and a “Strawberry Basil Martini” made with VeeV Acaí Spirit, Perfect Purée Strawberry and fresh agave sour. There are also three wine flight options, each with three, three-ounce glasses from the menu. Born in Beverly Hills in 1985, California Pizza Kitchen (CPK) is a leader in authentic California-style cuisine and is widely known for its innovative menu items. California Pizza Kitchen provides a range of California-inspired dishes, from signature hand-tossed and hearth-baked pizzas, to imaginative salads, pastas, entrées, soups, sandwiches and cocktails. A Southern California classic, CPK incites international cravings in more than 11 different countries. For more information on California Pizza Kitchen visit cpk.com. 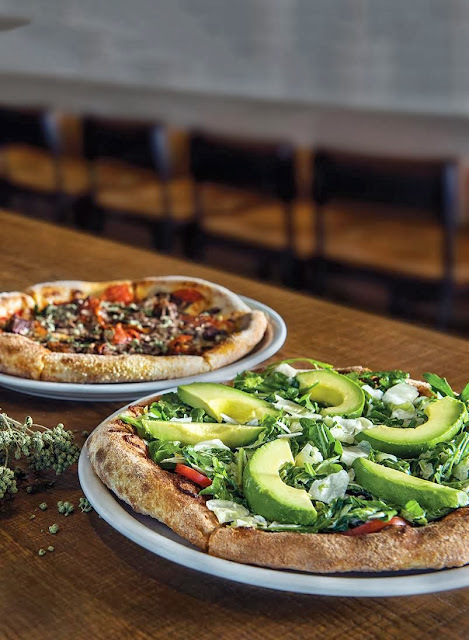 Follow us on Twitter @calpizzakitchen, like us on Facebook at www.facebook.com/californiapizzakitchen and stay connected through http://instagram.com/californiapizzakitchen (#cpknextchapter). Avnet is a huge Fortune 500 company that distributes technology components to businesses. The company is headquartered in Phoenex and during its last fiscal year it had revenues of $25.5 billion. 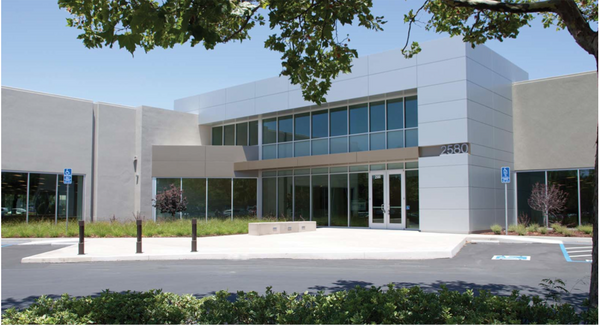 Their current Silicon Valley diggs are in Milpitas, but they have decided to move to 52,685 SQFT at the Montague Corporate Center in San Jose's Golden Triangle. Below is this month's news and events at Santana Row. One big item to note is the Blue Illusions opening. This is a brand with multiple locations in Australia and New Zealand, and they have just opened their first location in the United States at Santana Row. San Jose, CA – Happy holidays from Santana Row! The Row is bright and cheery, celebrating the season with traditional festivities. Join us in our community charity drives, including “One Warm Coat” and benefit events for Humane Society Silicon Valley and Second Harvest Food Bank. The new women’s clothing boutique opened in late November featuring a popular selection of French-inspired fashion. Launched in Australia more than 15 years ago by Donna and Danny Guest, Blue Illusion is committed to maintain its charming formula of a local & personal boutique feel. Its first U.S. location is at 355 Santana Row, next to Urban Outfitters. The annual coat drive began on the day after Thanksgiving and continues through the year. Donate a new or gently used coat and it will be given to a needy family this winter. Drop-off locations includeCineArts Theatre, Crate & Barrel, Sur La Table and the Santana Row Concierge. The charity coat drive continues through Dec. 31. For more information: call 408.551.4611 or visitwww.santanarow.com. Christmas Eve: 10 a.m. to 5 p.m.
New Year’s Eve: 10 a.m. to 6 p.m.
New Year’s Day: 11 a.m. to 6 p.m. The last Mommy & Me & Daddies, Too for the year includes live entertainment from Andy Z, story time with Mrs. Claus, sampling from Happy Baby Brands, mini manicures from Lavande nail salon, a raffle from The Container Store, arts and crafts with Action Day Primary Plus, Balloon Animals and Face Painting and more! When: 10 a.m. to noon, weather permitting, at Park Valencia. The rainy day/cold weather location is the lobby of CineArts theater. Mommy & Me & Daddies, Too is a free kids’ club held on the secondTuesday of every month from May through December. For more information, call 408.551.4611 or visit www.SantanaRow.com. Left Bank Brasserie opens at 11:30 a.m. with the last seating at 11:00 p.m. on New Year’s Eve to celebrate the late day of 2013. The restaurant is serving a limited regular a la carte dinner menu plus a $64.50 four-course prix fixe menu with main course choices of Rosemary Crusted Wild Boar Tenderloin with balsamic vinegar braised red cabbage and creamy parmesan polenta or Surf and Turf with pan roasted filet mignon, Béarnaise sauce, garlic butter roasted Maine lobster tail, star anise carrot purée and braised escarole. The restaurant's regular lunch menu will be served and there will not be Happy Hour service that day. Prix fixe menu items will be offered on an a la carte basis. Decorations will include balloons and streamers and guests for the evening's last seating will receive a complimentary sparkling wine toast and party favors at midnight. LB Steak opens at 11:30 a.m. with the last seating at 10:00 p.m. and will serve a limited regular a la carte dinner menu plus a $71.50 four-course prix fixe menu with main course choices of Seared Liberty Duck Breast with Anson Mills rice grit cake, caramelized endive and kumquat balsamic gastrique; fennel and orange poached lobster with uova di ravioli, lobster butter, Bloomsdale Farms spinach and shaved truffles; or Darling Downs A7 wagyu rib eye with celery root purée, braised salsify, crispy brussels sprouts leaves and tempura maitake mushrooms. The restaurant's regular lunch menu will be served and there will not be Happy Hour service that day. Prix fixe menu items will be offered on an a la carte basis. Decorations will include balloons and streamers and guests for the evening's last seating will receive a complimentary sparkling wine toast and party favors at midnight. When there’s a 70 percent or greater chance for rain, shoppers and diners braving bad weather will be rewarded with discounts that include 15 percent off purchases at participating shops and restaurants, a free signature Santana Row golf umbrella for customers who spend $150 anywhere on The Row and a $20 gift certificate to a participating shop or restaurant for customers who spend $300 on a designated Rainy Day. No need to get wet: On all rainy days, customers can pick up a complimentary umbrella to use while shopping and dining and then return it before leaving. The yellow umbrellas are conveniently located throughout The Row - outside Concierge, Via between Village California Bistro and Lark Creek Blue and the valet parking lot in the Winchester Parking Garage. Join Santana Row’s Twitter campaign and photo contest through the @SantanaRow Twitter handle. The contest invites anyone at Santana Row to Tweet photos of a new outfit, haircut, meal, event or artsy shots and then Tweet it to Santana Row with the hash tag #LifeonTheRow. Every month, Santana Row will post an album on Facebook with all of the photos with the #LifeonTheRow hash tag. The person who took the best or most original photo will win a gift card to a Santana Row restaurant. Wine & Dine Around Benefit for the American Heart Association, Feb. 8, 2 p.m. to 3 p.m.
More than a dozen Santana Row shops and restaurants host exclusive in-store events with complimentary wine and food pairings and incredible one-time discounts available only to ticketholders, all to benefit the American Heart Association. The wine stroll begins on Olin Avenue at 2 p.m. Tickets are $30 and include access to all in-store events, a Heart Card shopping pass, wine bottle tote bag and a signature Santana Row wine glass. Tickets available in person at Concierge or online at santanarow.com. Kung Hei Fat Choi! Santana Row celebrates the Year of the Horse with an afternoon of Chinese New Year festivities, including the exciting drumbeats and crashing cymbals of the Dragon and Lion dances and other traditional live performances celebrating the start of a new year. The eight-kilometer road race that benefits the Pat Tillman Foundation and its Team Tillman initiative is winding through the streets of San Jose for the third year in a row. It starts at HP Pavilion and ends at Santana Row. The 8K event last year drew more than 4,000 runners. dining, living and nightlife. Surrounded by landscaped gardens, parks and plazas, Santana Row features over 70 retail shops, more than 20 acclaimed restaurants, a 212-room boutique hotel and six-screen movie theatre. In addition to the dynamic retail collection, Santana Row offers 622 residential units featuring a fitness center, rooftop pool and resort-living accommodations, and 65,000 square feet of office space at 300 Santana Row, its newest office address. Santana Row is a property of www.federalrealty.com (NYSE:FRT), headquartered in Rockville, Maryland. For more information, please visitwww.santanarow.com. Federal Realty Investment Trust is an equity real estate investment trust specializing in the ownership, management, development, and redevelopment of high quality retail assets. Federal Realty's portfolio (excluding joint venture properties) contains approximately 20 million square feet located primarily in strategically selected metropolitan markets in the Northeast, Mid-Atlantic and California. In addition, the Trust has an ownership interest in approximately 1.0 million square feet of retail space through a joint venture in which the Trust has a 30% interest. Our operating portfolio (excluding joint venture properties) was 95.3% leased to national, regional, and local retailers as of September 30, 2013, with no single tenant accounting for more than approximately 3.4% of annualized base rent. Federal Realty has paid quarterly dividends to its shareholders continuously since its founding in 1962, and has increased its dividend rate for 46 consecutive years, the longest record in the REIT industry. Federal Realty is an S&P MidCap 400 company and its shares are traded on the NYSE under the symbol FRT. 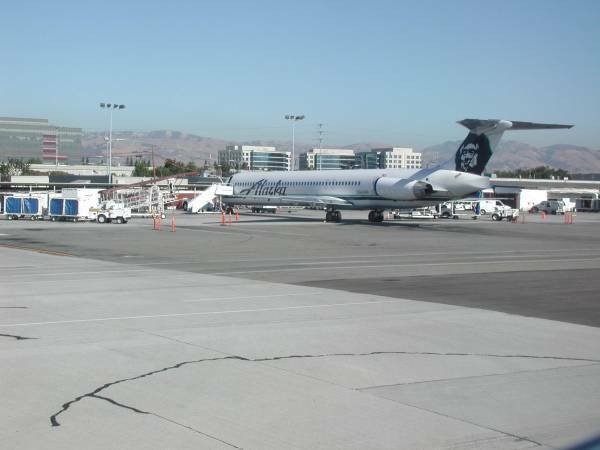 Starting on June 9th, 2014, San Jose International will be getting a new nonstop service to Salt Lake City by Alaskan Airlines. Currently, only Delta offers a nonstop to Salt Lake from SJC. The new offering will give travelers more options and competition does a pretty good job at keeping prices low. Now if only we could get a new international flight or two. Check out yet another short history lesson below from our friends at WMS Media. This video showcases a flood that turned San Fernando Street into what looks like a river. I also love the plug for Orchestria Palm Court, one of the coolest restaurants in the Bay Area. The Great Flood of March 7, 1911 - San Jose from WMS media Inc. on Vimeo. Levi's Stadium has landed yet another huge event, and San Jose will be one of the key benefactors. 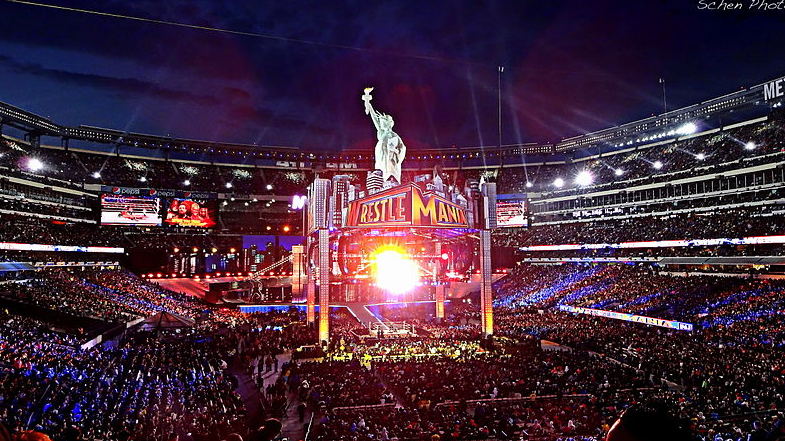 WrestleMania is from what I understand like the Super Bowl of wrestling events. The last one completely sold out the MetLife Stadium in New York (2nd photo below), generated $100 million in economic impact for the host area, and over one million people purchased it on pay-per-view. 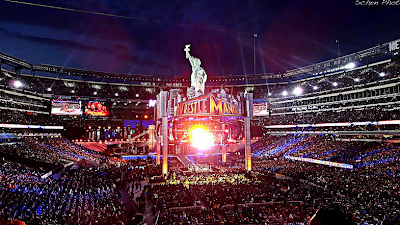 While I was not one of those people, I greatly appreciate the fact that the new stadium is bringing WrestelMania 31 to the area in 2015. How exactly will San Jose benefit? WrestleMania Axxess--a four day interactive fan festival--will take place at the San Jose Convention Center. The 2015 WWE Hall of Fame Induction will be at the SAP Center, as will the Monday Night Raw event. Other parties and events will likely also be held in the Downtown San Jose area, which make perfect sense given it's just a quick Lightrail or Amtrak ride away. Visitors will most likely be flying in via San Jose International and I bet quite a few extra hotel rooms will be booked Downtown or along North First specifically for this event. WrestleMania 31 goes down on Sunday, March 29, 2015. I hope we'll see many more big events like this at the Stadium where there is a direct positive impact to San Jose. Skyy Vodka is Bottled in San Jose? 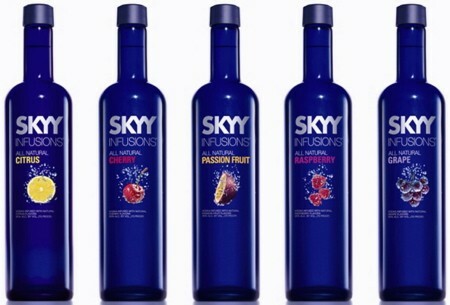 Someone mentioned to me a while back that they thought Skyy was manufactured in San Jose. I finally made it over to their Wiki page, and it looks like this is true! Production and bottling for Skyy Vodka is handled by Frank-Lin Distillers in San Jose. Ethanol is delivered using the railroad system, then the ethanol is mixed with filtered and deionized water and flavoring is added (for certain Vodkas). Now you know that when you order a martini or mixed drink, if you pick Skyy vodka you are benefiting a San Jose company and the local economy. Speaking of which, I have a whole Google Doc filled with local companies that can help you prioritize your holiday shopping selections. You can access it right over here. Home listings in San Jose have been on fire lately. 49% of October listings were in contract within two weeks (essentially the homes are sold barring any unforeseen circumstances). This compares to 41% in San Francisco. The average for all the metros that Redfin tracks is 28%. 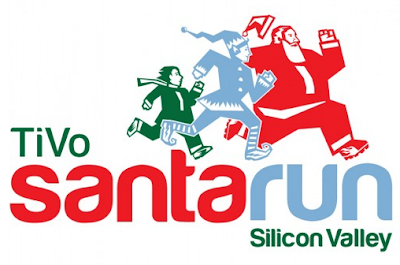 The Santa Run is a family-friendly 5K run/walk in Downtown San Jose. Participants are encouraged to dress up and there will be discounts for costumed individuals at the Downtown Ice skating rink.The festivities begin tomorrow at 1pm near Christmas in the Park. The race itself starts at 3pm. For more information, check out the Santa Run website over here. The highest quality publication of all time documenting San Jose culture is turning two years old, and they are celebrating in a big way. We are talking Gordon Biersch beer served from an igloo, snow, a holiday potluck, and live music. Each subscriber and their +1 gets two free drink. How many magazines do you know that do stuff like this for their readers? 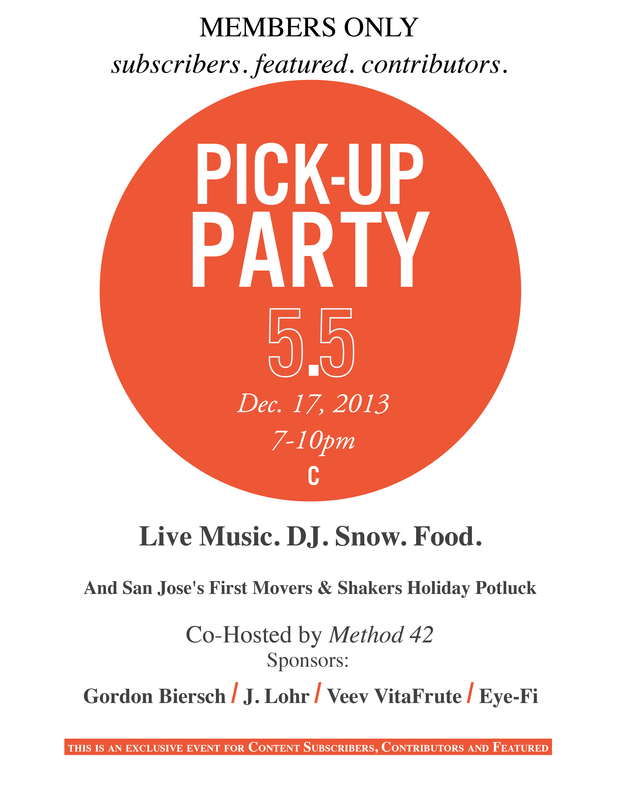 The party takes place next Tuesday at Method 42 (800 W. San Carlos, Building B). It's not too late to get in on the fun. You can learn more about Content or become a print subscriber right over here! It's PICK UP PARTY Time! In the most epic Pick Up Party yet, we'll be celebrating our TWO YEAR ANNIVERSARY in total funky style at Method 42's prop fabrication warehouse. Music from a life sized doll house, cold, Gordon Biersch beer served from an igloo and SNOW! Print Subscribers, Contributors and Featured Personalities (and their +1) are invited to enjoy two free drinks, and a night of connecting and picking up the latest issue of Content Magazine. 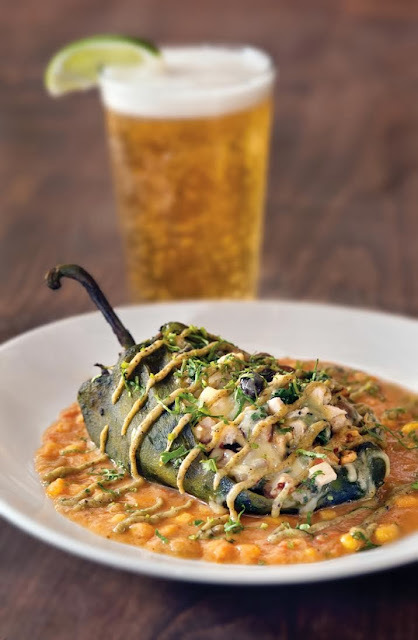 Sign up to bring that dish on our online form. And, if you'd like to also be included in our special "Content Magazine Family Cookbook"--submit your recipe as well. We'll assemble all the recipes and make a digital version available in January.